The Dyson Hot + Coolâ¢ fan heater heats rooms quickly and evenly. And in warmer weather, it cools you effectively. 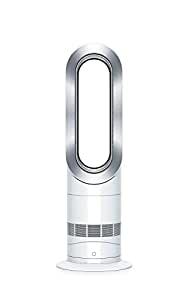 Dyson fan heaters use Air Multiplierâ¢ technology to create a powerful stream of uninterrupted airflow.